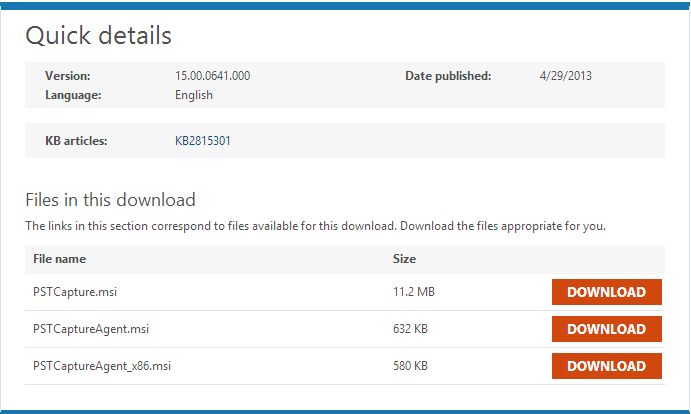 On 04/29/2013 Microsoft released new version of PST Capture. Support for Microsoft Exchange Server 2013 is added. Fix profile generation code to use “RPC over HTTP”. The UI is no longer limited to 1000 users when performing an online import. Fix issue in which online import fails when PST Capture is not installed on Exchange server. Tagged KB2815301, PST Capture Tool. Bookmark the permalink.